There's a particular friend who always introduces me as holding a PhD in trees which is incorrect but it's accurate to say that I am passionate about trees and nature especially in and of cities. 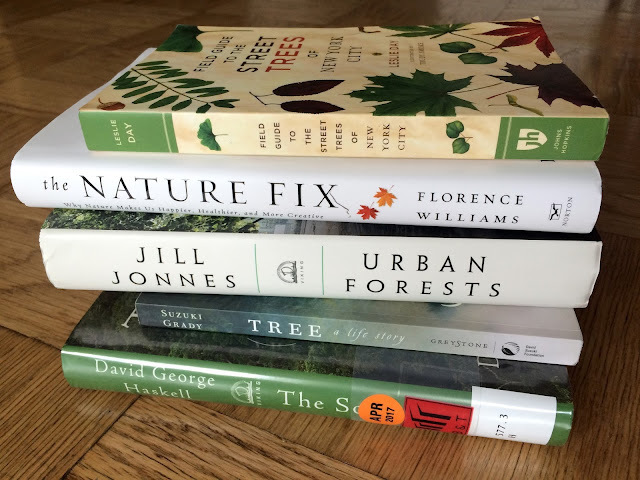 Since folks in that particular circle consider me a tree doctor and know that I also love books, I'm often asked for tree book recommendations. My current five favorite tree books are listed below in no particular order. Read my reviews of Urban Forests and The Nature Fix on this blog. In a nutshell or in a cone since the tree is a Doug-fir, this book read likes a poetic biography of one BC based Douglas-fir. It's possible that I will review the book here. Bonsai does not escape life's network. Instead, like olive groves, bonsai trees bring to the surface what is harder to discern elsewhere: that human lives and tree lives are. made, always, from relationship. For many trees it is nonhuman species--bacteria, fungi, insects, birds--that are the primary constituents of the network. Olive and bonsai trees bring humans to the center, giving us direct experience of the importance of sustained connection. Not a traditional summer read, Dr. Leslie Day's field guide to NYC street trees is a must have for New Yorkers. I think most city folks in the U.S., at least, would find this a useful book to own as many of the species discussed in the book populate many North American cities. 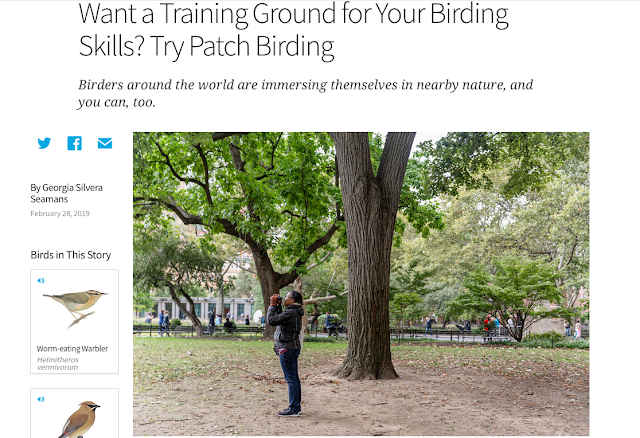 I have had the pleasure of meeting Dr. Day several times and attended her nature walks in Washington Square Park. She is a lovely person and very knowledgeable not only about trees but about birds and bees, too. Do you know of Lynda Mapes? She just wrote a book about a single tree in Cambridge, MA, called Witness Tree. She is our enviro reporter for the Seattle Times. Seems like book you would enjoy! Hi Bryony. I have heard of Lynda Mapes new book, Witness Tree. Thank you for the reminder - I had forgotten about it, but won't again.